The premise will carry over from the big screen to the small screen about a straight-laced, by-the-book police officer from Hong Kong who has been assigned to a case in Los Angeles where he’s paired with a cocky LAPD partner who has no desire for a partner. Chan and Tucker played the salt-and-pepper duo of opposing personalities who use very different tactics to reach the same end results. Joining Lawrence on the series as writer is executive producer/show runner Blake McCormick and director Jon Turteltaub, director of ‘National Treasure‘, will be leading the new show. Also signed on as executive producers are original film director Brett Ratner and producer Arthur Sarkissian. As if Lawrence isn’t successful enough on his own, he’s married to Christa Miller (‘The Drew Carey Show‘, ‘Cougar Town‘) and she’s incredibly gorgeous and has that dry comedy that makes my lady parts beep, in short, I’d totally do her! 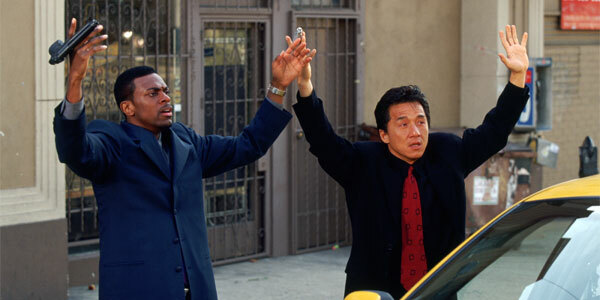 ‘Rush Hour’ Is Being Remade as a TV Series!! This entry was posted on Wednesday, February 11th, 2015 at 6:21 pm	and is filed under News, Television. You can follow any responses to this entry through the RSS 2.0 feed. You can skip to the end and leave a response. Pinging is currently not allowed. « Blu-Ray Review: ‘Game of Thrones’ Season 4! !